It has been a quiet few months for basketball fans, but the barren period will soon be over. NBA fans are starting to get excited about the new campaign but if you are in a hurry to see the best basketball players in the world, you may turn your attention to Europe this month. 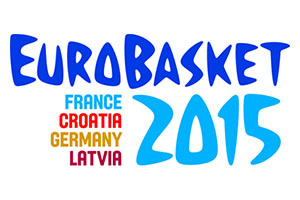 The standard and quality of European basketball is growing all the time but with the EuroBasket 2015 Championship taking place this month, there will be a great chance to see some of the leading NBA players take to the court with their international team-mates. Sometimes it is a chance to see if the top players can maintain their form when surrounded by international class players as opposed to NBA players and in other times, it is interesting to see what players shine more when they are fuelled by national pride. In 2012, Teletovic made his way to Brooklyn, where signed for the Nets, and he has played a fair team role for the club over the past few years. However, there will be a fresh start for the player this summer as he will be plying his trade with the Phoenix Suns when the new campaign gets underway. The strong power forward has over 160 games in the regular season in the NBA and has been involved with 10 Playoff games. 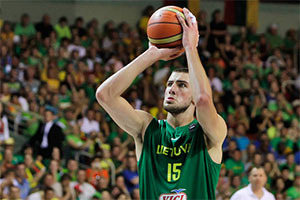 This means that he will be a key player for Bosnia and Herzegovina this summer. He also has 6 years in the Euroleague to call on, so there has been plenty of big game experience for the player, which will be a big boost to the nation for this major tournament. When you have played for Real Madrid, you have clearly achieved a good level of skill and understanding, but for many people, the real mark of a player is achieving success in the NBA and eventually, Bojan Bogdanovic managed to achieve this dream. He was selected by the Heat back in the 2011 NBA Draft, but we all know the complications and players of deals within deals that can impact on players with these signings. This meant that Bogdanovic didn’t make his way to the NBA until the start of the 2014/15 season where he teamed up with the Brooklyn Nets. Bogdanovic got off to a great start in the league, being a starter in the first 19 games of the campaign and although he briefly lost his spot for a month, he was back in favour from early January of this year. Inclusion in the NBA All-Rookie Second Team of 2015 showed the impact that he had on the NBA in his debut season and there will be plenty of people looking out for him in this tournament and next season. While many of the players at this year’s big summer basketball tournament will be familiar to NBA fans, there are some that NBA fans will be keen to look out for. This is definitely the case with Mario Hezonja, who was the fifth choice pick in the 2015 NBA Draft. He has been snapped up by the Orlando Magic, so their fans will be especially keen to see what the player can do but anyone 3who has a strong interest in the NBA will be looking to see what the shooting guard, who occasionally plays at small forward, can do. The player has clocked up 38 appearances for Barcelona in the Euroleague, with just 3 starts, so he is clearly a player for the future, but at 20 years old, Croatia will be looking for him to have an impact on this big summer event. It may be that this tournament is a little too soon for Hezonja to stand out from the crowd but he will be looking to provide a few moments of magic and inspiration to get the NBA fans excited about his arrival. Batum was drafted by the Houston Rockets but he was quickly traded to the Portland Trail Blazers to facilitate the Rockets picking up a couple of players. Not that you will find many Trail Blazers complaining about the deal which brought the small forward to Portland. The player has left the Trail Blazers this summer, agreeing a deal with the Charlotte Hornets in July of this year, but he had a big impact on the Blazers over the years. With more than 480 games forth Blazers in the regular season and a further 34 games in the Playoffs, Batum will be one of the key players for France this summer. With a Bronze medal at last year’s FIBA World Cup and the Gold Medal in the 2013 EuroBasket tournament, Batum is a huge player for the national side and his experience and expertise in the big league in America is likely to be a massive factor in this summer’s tournament. If you are looking for a player with great stature and experience at this summer’s EuroBasket event, look no further than Boris Diaw. This is a player who has seen and done it all over the years, both in the NBA and in the international arena. Diaw made his way to the NBA in 2003 and has clocked up over 900 games in the top league in the world, starting over 500 games. Of course, that is just in the regular season because the player can also point to 92 games, including 44 starts, in the Playoffs. Diaw won the ultimate NBA prize in the NBA in 2014 with the Spurs but he has also got a Bronze Medal from last year’s FIBA World Cup while also holding a Gold Medal from the 2013 EuroBasket event. Having played for the Hawks, the Suns, the Bobcats and the Spurs, Boris Diaw is a player that many NBA fans will instantly know and will be rooting for this summer. The 22 year old shooting guard may not have too much experience but his Bronze Medal from last year’s World Cup will give him all the confidence he needs coming into this tournament. There is also the fact that Fournier can call on a few years in the NBA, which started with the Denver Nuggets grabbing the player as the 20th pick in the 2012 Draft. He started off in the Summer league, honing his skills before clocking up 38 games in the regular season and then a further four appearances in the Playoff matches. 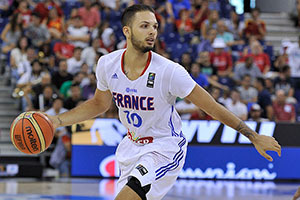 In 2013/14, Fournier developed, picking up 76 games in total and averaging 8.4 points per game. In June of 2014, he switched to the Magic and in total has clocked up 170 games in the NBA. The players’ career high of 28 points came on the 12th of November in 2014, in a win against the Knicks. The 7ft 1 center has one of the best nicknames in the world of basketball. Some nicknames are bland and unoriginal, but the name “The Stifle Tower” is the perfect name for a French player who can tower over players and dominate games. There is no doubt that Gobert was a big draw at the 2013 Draft and while the Denver Nuggets picked him up, the Utah Jazz were more than happy to deal him in. With over 120 games in the NBA and close to 40 starts, Gobert has picked up a decent level of experience in the NBA and his presence will make a big difference to the French squad. This is clearly a side that knows how to win big games and a lot of this is down to the fact that the players are playing in big games in their club matches. The 23 year old has a Bronze Medal from last year’s World Cup and will be keen to add another medal to his haul this summer. There may not have been too many fans getting excited when the San Antonio Spurs picked up the 28th pick of the 2001 NBA Draft, but Tony Parker would go on to be one of the leading players in the NBA over the past decade and a half. When you take on board he picked up 4 NBA Championships, the most recent occurring in 2014, Parker is a player who has utilised his pace and accuracy in shooting for goal. Parker has been named in the NBA All-Star game 6 times, three times in the All-NBA Second teams and one appearance in the All-NBA Third Team. Parker was also the 2007 NBA Finals MVP. Parker was also named the MVP at the 2013 EuroBasket event, a tournament which France won, seeing the player pick up a Gold Medal. With a Bronze and Gold in this tournament, Parker completed his set with that win. Parker was also very well known for being married to Eva Longoria, although the couple divorced in 2010 and Parker has also released an album. Pachulia made his way to the NBA during the 2003 NBA Draft, picked up by the Bucks. While he was looking as though he was heading to the Bobcats in 2004, he was eventually moved on to the Milwaukee Bucks for the 2004/05 campaign. Pachulia managed to pick up an average of 6.2 points per game for the Bucks and while this wasn’t enough to maintain the interest of the Bucks, it was enough to interest the Hawks who snapped him up. Pachulia became the starting center for the Hawks for the 2005/06 season and he picked up an average of 11.7 points and 7.9 rebounds. He returned to the Bucks in 2013 and then in July 2015, the Georgian international made his way to the Dallas Mavericks. With over 800 appearances in the NBA, including over 300 starts, Pachulia will be a key player for Georgia this summer. This summer’s tournament may be a chance for basketball fans to get to know players a bit better, but it is also a chance to watch one of the best NBA players of recent times. There won’t be too many NBA lovers needing to be introduced to Dirk Nowitzki but the 37 year old power forward, who has been with the Dallas Mavericks since 1998 is very well known. He was an NBA Champion in 2011 and he was recognised as the Finals MVP in that series. He was also voted the Most Valuable Player in the NBA in 2007. He has been included in the All-Star team 13 times, the All-NBA First Team 4 times, the All-NBA Second Team 5 times and the All-NBA Third Team three teams. He broke into the 50-40-90 club back in 2007 and in 2006 he was hailed the NBA Three Point shootout champion. In 2010, he was the NBA Shooting Stars Champion and he is the all-team leading scorer for the Dallas Mavericks. With over 1,250 appearances, virtually all starts, in the NBA regular season and 140 appearances (all starts) in the Play-Offs Nowitzki will be one of the most experienced players at the 2015 EuroBasket event. He has also been the top scorer at five major international tournaments and has a Bronze Medal for the 2002 World Championship and a Silver Medal for the 2005 EuroBasket. In 2013, Schröder was the 17th pick in the NBA Draft by the Atlanta Hawks and made his first appearances for the team in the NBA Summer League and then played for the Bakersfield Jam in the D-League. Schröder enjoyed another summer in the Summer league but made a big impact on the following season and in a Team World versus Team USA game, the player was hailed for a stunning performance. With 126 appearances in the NBA regular season and 18 appearances in the Playoffs, the 21 year old has picked up a great deal of experience in the past two seasons. While many of the players to look out for in the EuroBasket event were born in Europe and started their career in Europe before heading to America, this isn’t the case with Kostas Koufos. Born in Ohio, Koufos has played his entire club career in America, starting with the Utah Jazz back in2008. Koufos has played for a number of clubs over the years in the United States including the Jazz, the Minnesota Timberwolves, the Denver Nuggets, the Mempohis Grizzlies and the Sacramento Kings. Koufos made his international debut for Greece back in 2009 and in the same year, he won a Bronze Medal at the EuroBasket event. At 20 years old, Giannis Antetokounmpo is a player with a bright future, but he has also achieved a great deal in a short period of time. As you would expect from a NBA player, Greece will be looking for some big performances during this summer tournament, and the player himself will be keen to leave his mark on this tournament and show people what he can do. The player caught the eye during the 2012/13 season playing for the senior and junior team of Filathlitikos in Greece, and it was no surprise when he achieved his ambition of landing a spot in the NBA Draft. Antetokounmpo made his way to the Milwaukee Bucks and anyone expecting him to just make up the numbers will have been pleasantly surprised by the number of games he has clocked up in the past two campaigns. Antetokounmpo has achieved over 160 games in the NBA, including 6 playoff games and in March of 2015, he achieved a career high of 29 points in a game against the New Orleans Pelicans. Giannis’ family moved to America with him and you should keep an eye out in the future for his brothers Thanasis, Kostas and Alexis, while another brother Francis, has played American football. This is clearly a sporting family to look out for but NBA fans will not be shocked if the player known as “The Greek Freak” has a big impact on the EuroBasket 2015 tournament. The Greek small forward, who was two Euroleague championships, has been buzzing around the NBA for a number of years but it is only in the past year that he has managed to make his mark on the season. He was picked up as the 48th draft pick in 2012, with the New York Knicks acquiring him although the players rights were transferred to the Portland Trail Blazers in July of 2012. The following year, these rights were picked up with the Rockets and eventually in September of 2014, the player was signed by Houston. He managed to deliver an average of 4.2 points and 2.7 rebounds over 43 games, which included one start. The new campaign will see Kostas playing for Denver Nuggets, so the Nuggets fans will be keen to see what the player can do this summer. Casspi has achieved a number of important firsts in his time in the NBA. The 6 feet 9 inches player, known for being in the power forward position although sometimes pops up as the small forward, was the first Israeli to feature in the opening round of the NBA Draft. He signed for the Sacramento Kings and when Casspi made his debut for the Kings in 2009, he became the first Israeli player to play in the NBA. He later made his way to the Cleveland Cavaliers in 2011 and in 2013, he headed to the Houston Rockets. He almost teamed up with the Pelicans in a three-team trade deal, but this was later waived and at the moment, Casspi is back with the Kings, where it all started for him in the NBA. With close to 400 games in his time in the NBA, Casspi is a player who will be one of the leading lights in the Israeli side this summer. The player’s NBA high came in April of this year when he grabbed 31 points in a game against the Minnesota Timberwolves. This is an indicator that Casspi is still bang on form and he could have a say in some games this summer. The small forward may have made his way back to Europe this summer, signing for Fenerbahce in July, but NBA observers will have watched the player over the last two seasons. In July of 2013, Datome signed up for the Detroit Pistons on a two year contract, grabbing a season high of 13 points on December of 2013. In February of 2015, Datome made his way to the Boston Celtics and on the final game of the Celtic’s regular season, Datome started in the NBA for the first time. He marked the occasion in the best possible manner, grabbing a game and career high of 22 points, with the Celtics edging past the Bucks. With a total of 55 appearances in the regular season and three appearances in the NBA Playoffs, Datome is a player who will offer a lot to Fenerbahce in the Euroleague in the new campaign but he will also provide Italy with a lot of benefits this summer at the EuroBasket 2015 tournament. Belinelli burst on to the scene in Italy with a bang, making his mark with Virtus Bologna and Fortitudo Bologna and the player celebrated a championship win with Fortitudo back in 2005, when he was just 19. In 2007, Belinelli was the 18th choice in the draft, making his way to the Golden State Warriors and the player has made a living in the NBA since then. This means that he should be an extremely familiar face with NBA fans, and he has played for a number of clubs over the years. After two years with the Warriors, Belinelli spent a year with the Toronto Raptors, two years with the New Orleans Hornets and then a season with the Chicago Bulls. 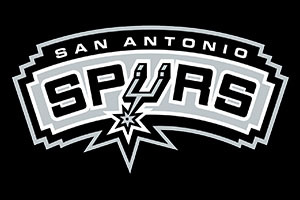 However, it was the 2013 move to the San Antonio Spurs that has helped the player to make a name in the game, being the first Italian player to win an NBA Championship. This was a source of great pride for Italian basketball fans, as well as being an indicator of the class on offer from the player. When the player returns to the NBA after the EuroBasket 2015 tournament, he will have a new challenge to look forward to after signing up with the Sacramento Kings for the new campaign. Andrea Bargnani made his name by becoming the first European player to be a first pick in the NBA Draft, signing up with the Toronto Raptors back in 2006. The fact that the end of this season will mark the 10th anniversary of Bargnani’s time in the NBA; this is clearly a player who has made a big impact on the league. 7 years with the Raptors was followed up with two years at the Knicks and in the middle of July this year, Bargnani signed up with the Brooklyn Nets, furthering his NBA adventure. With over 500 games in the NBA regular season and 11 games in the playoff, Bargnani is a player with considerable experience and this will be invaluable to Italy during this summer’s major tournament. With over 6,000 points as a Raptor player, Andrea will always be recognised as a key player for the NBA fans in Canada but he will definitely be a player who is instantly recognised by NBA fans tuning into this summer’s tournament. The 27 year old small forward made his way to the NBA back in 2008 when he signed for the New York Knicks and he has been playing in the country for the majority of the time since then. Gallinari, nicknamed Gallo, which is Italian for rooster, received praise and individual awards from the Italian league and the Euroleague before making his way across the Atlantic. The player is currently with the Denver Nuggets and can call on NBA experience of over 340 games and a further 12 games in the Playoffs. Given that ealier this summer, Gallinari signed a contract extension with the Nuggets for a further two years, this is a player that will be hanging around in the NBA, so fans will want to keep an eye out for him across Europe this campaign. The player has showed good form of late and in April, he achieved a career high of 47 points, in a double overtime loss against the Dallas Mavericks. With over 200 regular season starts for the Toronto Raptors, Jonas Valančiūnas has showed his worth and value over the last three campaigns and he will be a familiar face to many NBA fans. The Raptors have clearly been impressed with the Lithuanian player because the Toronto side have offered him a four year deal that is reputedly worth $64m. At 33 years old, Pero Antic is a player of great experience and this is why he will be captaining the Macedonian national team at the EuroBasket 2015 team. He is well recognised as a power forward, utilising his 6 ft 11 inches frame, but he can also play in the center. Antic showcased his skill in the NBA between 2013 and 2015, when he played for the Atlanta Hawks. The progression made by Antic was seen in the fact that he was selected for the Rising Stars Challenge Game for the 2014 NBA All-Stars in New Orleans. Sadly, an ankle injury robbed the player of his chance of playing in this showcase game, but the fact that he was included in the line-up indicates the high level of regard he was held in by many experts and onlookers in the NBA. The player grabbed a career high of 18 points in April of 2014 when the Hawks defeated the Indian Pacers. Antic definitely had a strong impact on the NBA but this tournament will be the best chance for NBA fans to see the player close up. This is because at the end of June, Antic signed a two year deal with Fenerbahce. This means that the NBA’s loss will be the Turkish team’s game but Antic will definitely be a familiar face for NBA fans during this summer’s tournament. The 31 year old Polish center has picked up an awful lot of time in the NBA, making his way there in 2005 when he was drafted in the second round by the Phoenix Suns. The player was soon on his way to the Orlando Magic, where he enjoyed five seasons before switching to the Phoenix Suns. 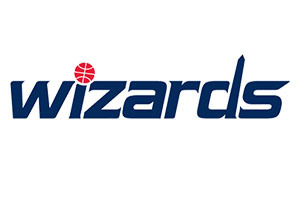 Gortat is currently with the Washington Wizards and in his NBA career; he has played over 500 games which includes over 300 starts. With success in Germany before he headed over to America, Gortat will be one of the most experienced Polish players during this summer’s major tournament and his team-mates will be looking towards him for guidance and inspiration. After 6 years of playing professionally in Russia, Timofey Mozgov made his way to the New York Knicks and the NBA in 2010. In January of 2011, he had a big impact on a game, grabbing 23 points and 14 rebounds, leading to the crowd cheering the players name. This instantly marked the Russian out as a cult hero, and as a player that can be relied on when needed. The player moved to the Denver Nuggets in 2011 and in January 2015, he made his way to the Cleveland Cavaliers. Before the end of the season he would become the first Russian player to play in the NBA Finals, but lost out as the Warriors held firm. However, Mozgiv played in all 6 of the games and he has had his contract renewed by the Cavs for the season ahead. With close to 300 regular games in the NBA, including over 160 starts, and 27 appearances in the Playoffs, Mozgov has plenty of top level experience to call back on and he should be able to complement his team-mates who have a wealth of Euroleague experience behind them. There is a lot to be said for the fact that the Russian side can have an impact on this summer’s big event, but they will need their top players to be in good form. Mozgov has two Bronze Medals in his international, one from the Olympics and one from the 2011 European Championship. The 35 year old from Barcelona is a player that should need no introduction but considering what he has achieved in the game, it is well worth running through some of the highlights of his professional career. Gasol is a 2 times NBA Champion, tasting success in 2009 and in 2010. He is a 5 times NBA All Star player, being selected in 2006, 2009, 2010, 2011 and in 2015. He was in the All-NBA Second team twice and in the All-NBA Third team twice, in 2009 and 2010. If you want to take it back further, he was the NBA Rookie of the Year all the way back in 2002 and he was also in the NBA All-Rookie First team that campaign. Add in 2 Silver Medals at the Olympics, 1 Gold Medal at the FIBA World Cup and 2 Golds, 2 Silvers and 1 Bronze Medal from the EuroBasket, this is clearly a player that has achieved everything you could want in the game but Pau Gasol is still a player that thrives for more and there is a chance that he could bump up that tally of Gold EuroBasket medals to 3 by the end of this summer. With time spent at the Memphis Grizzlies, the Los Angeles Lakers and the Chicago Bulls, Gasol is a hugely popular and talented player that a lot of NBA fans have time for, and he will be one of the main attractions for NBA fans tuning into the EuroBasket event this summer. Gasol was the first Spaniard to play in the NBA Finals and he then became the first Spaniard to win a NBA Championship. Standing at 7 feet tall, it is fair to say that Ömer Asik is a big player who will catch the eye during the EuroBasket 2015 tournament. Asik is 29 and he plays for the New Orleans Pelicans in the NBA. Asik has been a stand-out player for most of his career, with a number of leading European basketball teams clamouring for his signature when he was just 19 years old. The player made his debut in the Turkish league with Fenerbahce in 2005-06. In July of 201, Asik signed for the Chicago Bulls where he was dubbed with the nicknames of “The Turkish Hammer” while Stacey King, a commentator for the Bulls, dubbed him “Asik and Destroy”. Asik has also featured for the Houston Rockets and in 2014, he signed for the New Orleans Pelicans. He has signed on again for another year this summer, so NBA fans can look forward to seeing a player who has had a big impact wherever he goes in the league. It has now been over ten years since Ersan İlyasova was first drafted to the NBA and it would be fair to say that the Turkish player has made his mark on the league. The Milwaukee Bucks were the team who brought him to the big league and they gave him his NBA debut on the 1st of November 2006 in a match against the Pistons, which the Bucks won. In the summer of 2007, ilyasova transferred to Barcelone for two seasons but in 2009, he made his way back to the United States, the NBA and the Bucks. With over 450 games for the Bucks, the Turkish player offered a lot but in July of this year, his time in Milwaukee was brought to a close, with Ersan signing a deal with the Detroit Pistons. This means that the Pistons fans will be keeping a close eye on him over the summer to see what he can do. With so many great players involved with the EuroBasket 2015 Championship, there is every chance that we have missed out on some top NBA players heading to this major tournament. If you know of any leading NBA players that we should be looking forward to playing, get in touch with us and we’ll share your views with basketball fans.